I realize that the last few posts I’ve written about Squarespace are “out of order”. What I mean by that is they don’t start at the very beginning of the process of getting a Squarepace site. So I’ve decided to back track a little bit and start from scratch. I want you guys to be able to learn pretty much step by step how to set up your site from scratch. If you’re not tech savvy, no worries, it’s really very easy! I may have mentioned it before but back in 2013 when I first created this site, I had NO CLUE what I was doing. I remember getting to my main screen and I’m pretty sure I rolled my eyes and crossed them at the same time. I immediately closed my laptop and didn’t sign back into the site for TWO WEEKS. It was daunting because I’d never seen an interface like that before. Blogger had a much simpler interface but I knew eventually I would want more control over my site. 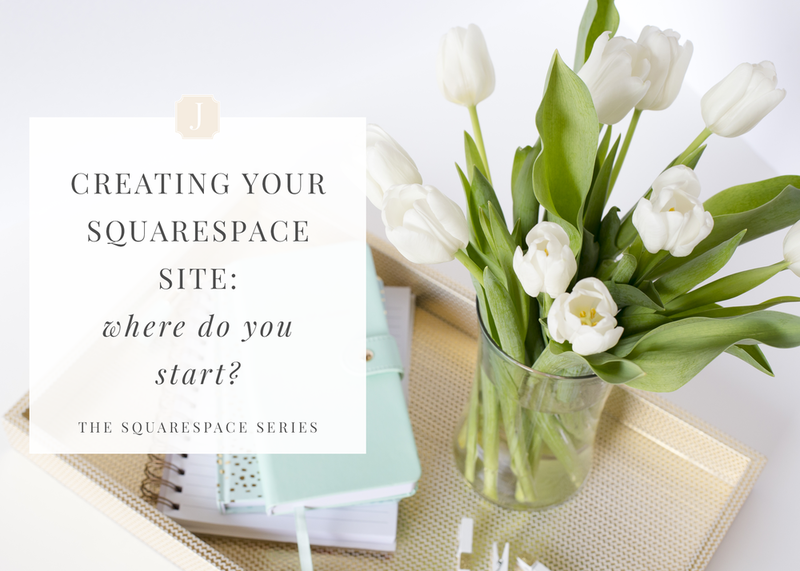 When I finally signed back in to my Squarespace account, I took a deep breath and took it one step at a time. No one was going to teach me how to use it so I had to figure it out on my own. I got to work and learned how to create not just a blog but an entire site for my wedding photography business. I want Squarespace to be a platform that helps your small business become successful too! This isn’t a sponsored post, I just think it’s great when small businesses succeed. I think that Squarespace is a great tool and that’s why I speak so highly of it. That being said, let’s get started! The first thing you’re going to want to do is browse the templates. Squarespace offers a two week free trial. Take this time to explore different templates! There are over 84 templates to choose from and they each have unique features. You can view all of the templates here. Keep in mind, just because a template is in a specific category, doesn’t mean it won’t work for your business. I have never used any of the templates geared for photographers simply because the base just isn’t my style. I used the Five template for 3 years and LOVED it. So find a template you like and then figure out how you can change it to fit your business. The second thing you're going to do is figure out which plan is the best fit for your business. Many people think that if you have a business, you need the business plan. Not true! You can do SO much with a basic account. Of course depending on what kind of business you have, you may want to look at other plan options. However, if you are just getting started with the platform and your business isn't up and running just yet, you can save some money in your first year while you learn the platform and get a basic plan. You can view the plan options here.